There’s so much to do and see while you’re in Israel! Get ready for your upcoming Birthright Israel trip with Israel Outdoors by reading this helpful prep guide below —and start getting excited for the incredible adventure that awaits you! Birthright Israel makes use of multiple airlines. Some Israel Outdoors flights are on EL AL Airlines, and many are non-stop from the listed departure city. Some flights include a change of planes within North America or Europe. Plan the times of your connecting travel conservatively. This may be your one chance, and we (literally) don’t want you to miss it! Soon after confirming your trip spot, we’ll email your detailed flight information and give you the official “okay.” At this point, you can begin making any necessary travel plans to and connecting flights to get yourself to and from the gateway airport. On the day your international flight departs for Israel, you will need to arrive at the terminal at least four (4) hours ahead of the departure time. Note: We will be conducting group Check-In and Orientation during this time, so it is imperative you arrive 4 hours in advance. In addition to group check-in, the 4 hours will give you ample to time in case of any last-minute adjustments or delays at the airport. Check-In: At the Check-In area, you will be met by an Israel Outdoors representative (wearing a Bright Blue Israel Outdoors T-Shirt) who will give you specific instructions on how to check in. Do not check in for your flight before meeting with the Israel Outdoors staff. When making your travel arrangements, consider ground travel to your gateway airport. In our experience, this greatly reduces the chances of missing your flight to Israel. If you are arriving at the gateway airport on a domestic flight, we HIGHLY recommend arriving a day early to reduce the chance of missing your flight to Israel. If you must arrive on the day of departure, allow plenty of extra time. In the event you are late or delayed on departure day, let us know immediately. We will try to reschedule you on the next available flight, but you will be traveling to Israel without staff, and there are no guarantees that you can be rescheduled successfully. When scheduling your domestic flight to return home, please plan for at least three (3) hours between our international flight and your connecting flight home. This should give you sufficient time to clear customs and/or border control. Any special seating requests must be made at the airport check-in on the day of your departure (early requests are not permitted). If you noted a special meal request as part of your registration, we will submit it on your behalf to the airline. Participants will not be able to receive mileage points for the group flight. Want to stay in Israel after your Birthright Trip is over? Brilliant! In most cases, you can extend your ticket either before you depart or after you arrive in Israel. Extensions prior to departure can only be handled by Gil Travel, Birthright Israel’s official travel agency. Check your airline’s flight extension policies for specific details. Be sure to allow plenty of time for your extension request to be arranged. Most extension requests must be submitted at least seven (7) business days before departure. Although some airlines allow flight extensions to be made in Israel, it can be a time-consuming process, and seats are limited. If you stay in Israel for longer than the airline allows, you will be responsible for buying your own return flight. Some airlines DO NOT allow extensions once in Israel at all. Some airlines limit the number of tickets that can be extended within the group. Your group flight ticket can be extended, but some airlines limit how many tickets may be extended in the group, and availability for date changes can become very limited or even non-existent during peak summer and winter holiday seasons. You will be flying on a group ticket, which means you can only change the date of the return. You cannot change the route on the ticket to include another destination (you also won’t be allowed to extend your ticket on the front end and meet the group in Israel). Each airline has different rules in terms of how long a ticket may be extended and what it will cost you. Learn more about your airline’s flight extension policies. While we encourage extensions, you must participate in the entire Israel Outdoors trip until we return to the airport at the end. No exceptions to this Birthright Israel rule. You have the option of forfeiting your return ticket and making your own travel plans home, but you must notify us in advance to avoid losing your $250 deposit (read on). If you extend your stay in Israel, you will no longer be under our supervision or responsibility once the Birthright Israel trip is over. If you choose not to use your return ticket altogether, you should formally forfeit your return ticket. To do so, you must notify us in advance or you will lose your $250 deposit. Israel Outdoors covers a lot of ground, but there’s even more you can explore on your own. Check out this city guide and day tour options. Forfeiting your return flight is different than Extending your return flight. By forfeiting your return ticket, you will be canceling your return flight altogether and will be responsible for arranging your own flight home from Israel. To forfeit the return flight before the trip, email [email protected] with the subject “Return Flight Forfeit.” If you decide to forfeit your return flight during the trip, notify the airline at least 24 hours in advance to avoid losing your deposit. Your passport must be valid for six (6) months beyond your final scheduled day in Israel. No exceptions! You must fly with the group from the scheduled gateway airport (you can’t meet the group in Israel, even if you are already in Europe). Make sure you know where your passport is and ensure it is not expired or nearly expired. If your passport is set to expire within six (6) months of your final scheduled day in Israel, it must be renewed in advance of the trip. You will be denied boarding on the group flight if your passport expires less than six (6) months from your final scheduled day in Israel. If you travel with an American, Canadian or EU passport, good news —you don’t need a visa to enter Israel! If you travel with a passport from another country or have a USA Travel Document (as opposed to a standard passport), you may need a visa. Contact your local Israeli Consulate for details. Learn more about visa requirements by citizenship here. If you are flying through Canada and hold a passport from a country other than the USA or Canada, you may need Electronic Travel Authorization (eTA). More information can be found on the Government of Canada website. It is important to note that any person traveling on a flight from Canada or in transit through Canada without a valid passport or required VISA will not be able to travel and will not have the option of traveling on the next flight departing from Canada. Please be in touch with us regarding questions. If either of your parents is an Israeli citizen, or if you have ever lived in Israel, it is your responsibility to make sure your status with the Israeli Defense Forces is worked out and clear. Moreover, you may still have obligations to the State of Israel that must be resolved prior to your trip, even if you do not have an Israeli passport. These matters must be taken care of before you arrive in Israel. Note: If you hold an Israeli passport, you must enter Israel with your Israeli passport. If you do not take care of these matters prior to your trip, you may be obligated to stay in Israel by the State of Israel until resolution. If this applies to you, you will be solely responsible for your own situation and any costs involved. Again, we highly recommend you be extremely cautious about these matters and contact one of the regional Israel consulate offices if you have any questions. If your passport expires within six (6) months of your final scheduled day in Israel, do not delay—renew it NOW. Learn more about the requirements and timelines for renewing your passport at www.travel.state.gov. Your passport is an incredibly important document. We recommend making two (2) photocopies of your passport and leaving one with a friend or relative at home. That way you’ll be covered in case of emergency or if your documents are lost or stolen. Per Birthright Israel, you are required to come to Israel with your own health insurance policy that is valid in Israel. We are required to record your health insurance provider and policy number as part of the Secondary Application. We also HIGHLY encourage you to purchase travel insurance for coverage against cancellations, lost luggage, theft and more. Prior to traveling, you must have a valid medical insurance policy in place that will cover you for your entire stay in Israel. If you are uninsured or your home medical insurance policy does not cover international travel, you will need to obtain other coverage ASAP. An inexpensive and easy way to fulfill this requirement is to purchase travelers insurance through CTAS, which is underwritten by Harel Insurance Company, Israel’s largest medical insurer. Get Covered! Optional cancellation insurance for coverage of domestic flight costs (coverage up to $200; an additional $10 add-on fee applies). This coverage applies if you purchase a domestic flight for your Birthright Israel trip and end up missing that domestic flight due to death, illness or injury to you or an immediate family member; or if there is a delay/change to your international Birthright Israel flight that causes you to miss/change your domestic flight. Click here for full insurance policy terms. *Pre-existing conditions are covered by CTAS so long as the condition has been stable for twelve (12) months preceding arrival in Israel and so long as there has been no hospitalization for the condition within the six (6) months preceding your arrival in Israel. Additional exclusions include coverage for the treatment of cancer, AIDS, dialysis, multiple sclerosis, cystic fibrosis and active psychiatric conditions. The CTAS policy costs $45 and provides coverage in Israel during the 10-day trip! If you extend your trip in Israel, your insurance policy can be extended for $3.80/day. There is a $10 insurance add-on if you wish to include the supplemental cancellation insurance. Birthright Israel requires all participants to be covered by their own medical insurance that is valid in Israel. This insurance should include coverage for pre-existing medical conditions and medical emergencies while in Israel. On top of that, it’s a good idea to make sure you’re also covered for those travel headaches that you think could never happen to you! We’re talking about things like lost, damaged, or stolen luggage and delayed or canceled domestic flights. Don’t let it ruin your trip! I already have medical insurance in the US. That's enough, right? Maybe. That can vary from one plan to another. Many plans do not include coverage outside the USA. Even if your provider tells you that you’ll be covered in Israel, be very careful…many plans are extremely limited in terms of the international coverage they provide. They certainly won’t cover you for lost or stolen property and delayed flights, which CTAS does. How much does this insurance plan cost? CTAS insurance is only $40 for the entire Birthright Israel trip. That includes both medical and travel insurance. If you’re extending your trip in Israel, you can extend the insurance, for only $3.80 per day. If I am extending my trip in Israel, can I also extend my insurance coverage? Absolutely! When you fill out the CTAS form online, you can indicate your return date from Israel. I have more questions about CTAS insurance. How can I get answers? Email Israel Outdoors or CTAS directly! Contact us directly at [email protected] or use the contact form for CTAS at israeltravelinsurance.com. Even if you already have medical insurance that is valid abroad, both Birthright Israel and Israel Outdoors recommend purchasing travelers insurance, such as the CTAS policy, for the supplemental benefits. Staying in touch during the trip is a key part of your experience! It’s important for safety, for staying in touch with friends and family back home, and —let’s face it, for posting pictures to your social media accounts so everyone knows how awesome your trip is! Good news: our partner, Phone Away From Home, provides easy, convenient and inexpensive options for you to call home and access the internet while you’re in Israel. Unlimited internet! – First 6Gb at super fast speeds! Unlimited talk and text to the USA and Canada! Your assigned phone number will be available in advance, and your actual phone, SIM or internet device can be picked up at no additional charge upon arrival to Israel’s Ben Gurion Airport. TIP: Make sure you know the “TL Code” for your trip to sign up for service. NO FINE PRINT – NO SURPRISES! Taxes: All rates shown include the Israeli VAT (17%). Keep your loved ones updated during the trip by signing them up for the Family & Friends Update List. We’ll track your arrival in Israel and send periodic updates during the program. You’ll probably also want to use social media to update folks back at home on your travels. Use the hashtags #IsraelOutdoors, #Birthright and your group number (ex: #Bus111) to share the journey! As your trip approaches, we’ll post hotel phone numbers, as well as the cell and office phone numbers for key staff on your Trip Prep page. Calls to our cell phones will be answered 24 hours a day for emergencies only. Don’t worry (too much)! There will be a few phones available in Israel to rent on the spot, however, we highly recommend taking care of this before departure day. In Israel, you and your fellow travelers will stay in a mix of hotels and kibbutz guest houses. Each room will house three (3) people and will be single-gender only; you will be allowed to choose your own roommates, although sometimes your trip leaders may choose for you. Of course, everyone gets their own bed and each room has a bathroom with a shower. Exact accommodations will be posted as part of your full itinerary approximately 3—4 weeks prior to departure. While this is a free trip, you’ll still want to bring some money! Two meals/day are included, so you should have money for lunch. You may occasionally want to buy bottled water (although tap water is safe), snacks, drinks, souvenirs, etc. We recommend you bring $200-$250. Israel uses the shekel as its currency, and each shekel is worth about 25—30 American cents. If you are bringing dollars to Israel, a currency exchange representative will meet the group as we board the bus at the airport. The exchange rate provided by this representative is better than what is available inside the airport —and much faster! You should also bring a debit or credit card to Israel; cards with a Visa or Mastercard logo work throughout Israel. If your ATM card is not part of Visa/Mastercard, you should check with your bank to make sure it will work in Israel. Finally, notify your bank or credit card company (in advance) about your travel plans to avoid the potential suspension of your account due to irregular activity. In Israel, it is customary to tip both the tour guide and the bus driver. The program is jam-packed, and you will soon see that the guide and driver work around the clock to ensure the success of your experience. Our advice is that $100 in total is an appropriate gratuity for 10-day trips, $70 for Express (7- or 8-day) trips, and $140 for Study Abroad programs. Tipping is not required, and if this is something you cannot afford or do not want to participate in, do not be embarrassed to tip less or refrain altogether. It is not customary to tip your North American staff or the Israeli guards. If you plan to bring small electrical appliances to Israel, keep in mind Israel uses a 220-volt electrical current, and the outlet types are different as well (two circular prongs). In order to avoid “frying” any electrical items, bring a voltage converter (note: this is already built into most laptop computers). You will also need a simple adapter to plug your items into the wall. All group meals, including meals on the plane, are kosher (as certified under the supervision of the Chief Rabbinate of Israel). You will typically be purchasing one (1) meal per day (usually a light lunch), and you are free to eat whatever you choose. People with special dietary situations (i.e. lactose intolerance, vegetarian, etc.) should contact us in advance to make proper arrangements for the flight and during the program itself. If you take medication, we recommend you bring enough to last the entire time you expect to be in Israel. We also recommend you pack your medication as part of your carry-on luggage in case your checked luggage is delayed. If you have a notable medical condition, please inform us in advance —remember this is all for your safety (note: all medical records are kept confidential). Israeli tap water is perfectly safe to drink. If you prefer bottled water, it is widely available and is inexpensive. We recommend buying a bottle of water when you arrive and refilling it with tap water for the rest of the program. No special vaccinations are required or necessary in Israel, however, we recommend you come to Israel with an up-to-date tetanus shot. The trip is only 7-10 days, and we are constantly on the move. We recommend leaving expensive electronics at home. Whatever you bring, your personal property is exclusively your responsibility at all times. Although theft is not common in Israel, it does happen. Our program is jam-packed with touring and you will find that 7-10 days is a very short time to be in Israel. There will certainly be some downtime on the trip, and we suggest you use that time to relax and re-energize. If you would like to visit with friends or family members while you are in Israel, your best option is to extend your ticket and meet up after the program. If you can only meet during the program, the best time for visiting with family is on Saturday afternoon, which is typically a relaxed time during the trip. Keep in mind that Birthright Israel rules do not allow for leaving the group under any circumstances. Shabbat is the day of rest, starting on Friday at sundown through twilight on Saturday. During the trip, there will be a public observance of Shabbat. Nothing in the program will force or encourage participants to violate the rules of Shabbat (or any other Jewish holidays that fall within the trip). How you choose to observe Shabbat is totally up to you. Keep in mind there will be participants on your trip of all Jewish backgrounds, and we only ask that each person be respectful of everyone else’s individual choices. We cannot stress this enough: bring comfortable, light-weight walking shoes! On group hikes and nature walks, you’ll be required to wear closed-toed shoes. You do not need to purchase special hiking boots, but participants have found rugged outdoor shoes (like Merrells or trail running shoes with tough soles) to be very useful. We do a lot of walking on our trips, and when your feet are happy, YOU are happy. Most of our trips include water activities. We recommend bringing an extra pair of shoes that can get wet and stay on your feet while you are being active. Adventure sandals with supportive straps (such as Chacos, Keens or Tevas) are perfect for this —you’ll be glad you have them when going into the Dead Sea, rafting, and during water hikes! Israel is a casual country when it comes to dress. However, we will be visiting some religious sites such as the Western Wall where “modest” clothing is appropriate. On these days, women should wear clothing that covers their shoulders and knees. We suggest bringing a scarf or cardigan to throw over your shoulders, and a skirt that can be easily pulled over shorts for a more “modest” look. Pants or capris are also acceptable. Men should have their shoulders covered on the days where religious sites are on the itinerary. On Friday night, the pace of the trip slows down as we transition to celebrate Shabbat. To create a special atmosphere, we celebrate Shabbat with a fancier dinner. We recommend bringing something a bit nicer for Shabbat. A good rule of thumb is to bring something “a step up” from what you wear on a daily basis. Low-cut, strapless, and mini clothing should be avoided. A polo or buttoned-down shirt with khakis or nice jeans is appropriate for men. The sun is much stronger in Israel. Carrying a water bottle is mandatory, as your body will require much more frequent hydration than you are probably used to —between 2-4 liters of water per day. Alumni have found CamelBaks or other hydration pouches to be very helpful for both carrying water and personal belongings when on the go. Israelis often recycle their plastic store-bought bottles of water by refilling them from the tap (which is safe to drink!). If you don’t have a water bottle or CamelBak, we will be making plenty of stops where you may purchase water. You will be responsible for carrying your luggage to the airport and between the bus and hotels, so pack your belongings in something you are comfortable carrying! We recommend a rolling duffel bag with wheels: big enough to contain all your clothes for 10 days, but not too big that you go over the size and weight limits for your flight (generally 50 lbs). We recommend bringing a small daypack or backpack to carry around your daily essentials when touring: wallet, water bottle, camera, hat and extra layers (depending on the season). This bag can double as your carry-on for your flight. You will not have access to laundry facilities while you’re in Israel, and this is a very active trip; we suggest you plan and pack accordingly. You may find the sun is Israel is hotter and stronger than expected; Israelis are extremely conscientious about protecting themselves from rays and we suggest you follow their lead! You’ll want to wear a hat and sunscreen at all times when outdoors and you may even opt for lightweight long sleeves and pants if you’re especially prone to burning. Once you have accepted your trip spot and we have officially assigned your ticket, you will forfeit your deposit if you cancel within 65 days of departure. Cancellation deadlines are based on your departure date. To determine the date of your cancellation deadline, use our handy calculator below at israeloutdoors.com/deposit. Be nice. Even if you cancel after the deadline, please let us know ASAP, as there are many people on the wait list who would love to go to Israel in your place! The eligibility rules for this program are serious. Even if you have already been interviewed, we still rely on your personal integrity to ensure you are eligible. If you have any concerns regarding your eligibility or if you are confused about the rules, give us a call at (202) 315-3269 or send a quick email to [email protected] and we will clear it up. Trust us, it’s better to resolve any such issues before you arrive in Israel. Failure to abide by any of the core conduct rules listed above may result in your removal from the program. Whether you have a few days or a few months, Israel offers several additional opportunities for you (and your family) to explore more of Israel with us or with one of our partner organizations. Opportunities for aspiring young adults to teach, volunteer and study in Israel. Connect with Israel as a society, not a destination, on these generously subsidized programs. Get so much MORE from your time abroad on a Birthright Israel Plus extension. You’ll keep the adventure going for an extra 4—7 days and discover a whole new side of Israel along the way! Elevate your summer in the Start-Up Nation on this opportunity for aspiring entrepreneurs! Intern at one of Israel’s high-tech companies, network with exceptional innovation experts and learn from leaders in the field, all while earning credit from the Technion. Build your resume through an internship of your choice alongside Israeli professional peers, and enjoy an immersive living experience in Israel. Participants will live and explore Israel while interning in a variety of fields and networking with like-minded professionals. Israel Outdoors alumni are eligible for tuition discounts at Tel Aviv University. Earn undergrad credits or pursue a graduate degree at a global premier university on the Mediterranean. Design and book your own Israel adventure online. 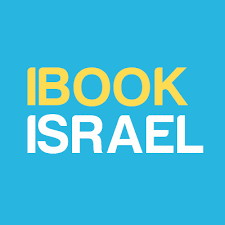 Choose your activities, sites, day tours and more on our iBookIsrael.com platform. For other extension ideas, suggestions and information, check out our City Guide.